← Ice Bucket Challenge ALS and Lyme Disease? Posted August 27, 2014. 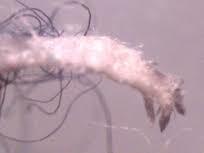 Important article on Morgellons. All the more reason to be aggressive with your Lyme disease treatment. This entry was posted in Lyme Symptoms and tagged Morgellons. Bookmark the permalink.